Cavaliers won their second game in the Flow/Peter Haycaft Twenty 20 Cup tournament on Sunday morning in Greenland, when they slowed down Ground Works for a 36-run victory. Cavaliers who batted first, withstood Ground Works’ Shakeem Charles’ century—the fourth player in the tournament to reach that plateau—after setting a 225 for 9 target. Jagnarine Persaud and Ronniel Jeffrey, narrowly missed half centuries as Persaud was run out for 49, while Jeffrey was bowled for 48. Ground Works Rogel Noel plucked 4 for 35 and Mark Gonsalves, 3 for 28. Charles carried Ground Works who had a painfully slow run rate with 104 not out as they finished on 189 for 3. Ferris Pope was run out of 26 and Mohammed Hassen had a contributing 25. Ground Works captain Rushan Hushman said they got a good start but couldn’t hold the run rate. During the afternoon game, the Vikings who took to the crease, used Vishal Muneisa’s 74 off 48 balls and Rajkuma Seepersard’s 60 from 43 deliveries before each was caught out, in posting a formidable 206 for 5 on a slow wicket. Nick Mithou had a contributing 30 not out. 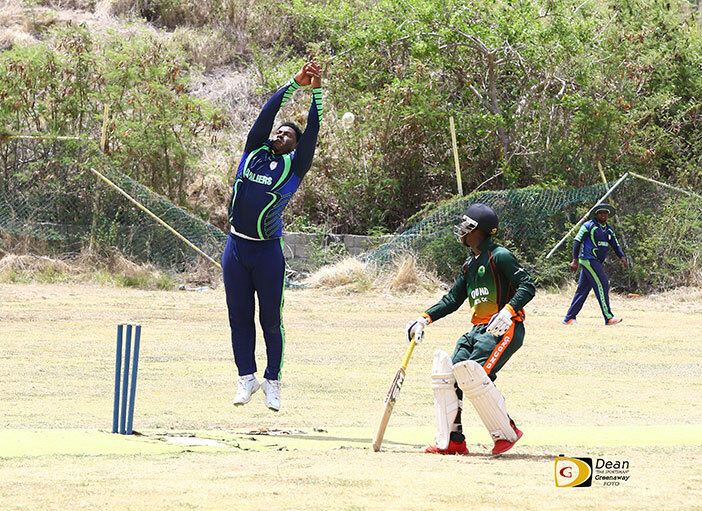 Three Island Stars bowlers grabbed wickets, with Wayen Phillips’ a match best 3 for 50. In reply, Island Stars’ top order fell apart after Denis Brown was caught for 51 and were 102 for 7. 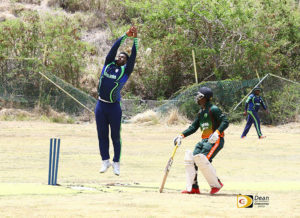 Sheain Patrick and Dion “Ragga” Clarke put on a 68 run partnership for the eight wicket, before Clark was run out for 29. Patrick finished on 50 not out as Island Stars reached their 20 overs on 176 for 8. The Vikings’ Neil Niles bagged 2 for 17 and Junnic Mingo grabbed 2 for 51. “This match was touch and go for a little while because Ragga and Patrick were going for it and we just had to stick to our guns, hit the good areas and in the end, we came out on top,” Vikings captain Vaden Walker said. “This victory is very important for us. Coming back from losing a lot of players after the hurricanes, we lost like six players so we’re just rebuilding, so it was very important for us. Walker said every victory is important as only one team from each group will advance. After their third loss, Islands Stars’ Keelan Robin congratulated the Vikings whom he noted had a game plan that they stuck to.